(TibetanReview.net, Aug02, 2018) – The government of Nepal has halted a decision to send to India eight Tibetan refugees who had either crossed from the Tibet border illegally or otherwise overstayed their visas and did not want to go back under Chinese rule, reported thehimalayantimes.com Jul 30. Nepal had reached the decision to send them to Dharamshala, India, in coordination with India and the United Nations High Commissioner for Refugees and they were scheduled to leave on Jul 31 in a postponement from Jul 29. 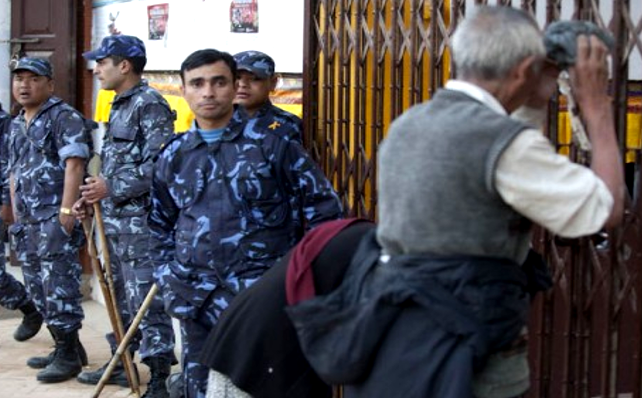 Nepal was to give them exit permits and India special entry permits. The report said the refugees were to be sent to India on the basis of an informal agreement among Nepal, India and the UNHCR in matters related to Tibetan refugees. But now their journey date remains uncertain, although it will take place but at an “appropriate time”. “Due to security concerns and the sensitive nature of the issue they have not been sent yet,” the report quoted an unnamed source as saying. It is being suggested that pressure from China is behind the decision to halt the Tibetan refugees’ travel to India after the news was reported in the press. The Tibetans waiting to enter India have been described as Lobsang Phuntsok, 17, male; Thupten Tsering, 13, female; Sherab Kunsel, 19, male; Rinchen Namgyal, 19, male; Sonam Chokdue, 19, male; Yung Tsuk, 22, male; Tenzin, 23, male; and Ngawang Choeying, 38, female. It was not clear whether there were monks and nuns among them. They were stated to have entered Nepal from border points in Dolakha and Rasuwa less than a year ago. And they were verified as Tibetan refugees on Jul 20 by the Tibetan Reception Centre at Halchowk, Kathmandu. Earlier, on Jul 17, Nepal had detained two Tibetan refugees — Wanbo, 20, a resident of Shigatse, and Kunga, 25, from Lhasa — from Tatopani border in Sindhupalchowk. Both were sent to Dharamshala, reported thehimalayantimes.com Jul 30. It also reported that in June, two Tibetan refugees — Kunsang Nyima, 24, and Pema Dhudul, 25 — had been sent to India. The number of Tibetans managing to flee their Chinese ruled homeland fell drastically since 2008 due to strong border control measures taken by Beijing. Before that, Nepal used to see around 2,000 Tibetan refugees per year entering the country. Since then the number has dropped, with annual inflow of Tibetan refugees now hovering around 100, reported thehimalayantimes.com Jul 26. Around 14,000 Tibetan refugees are currently living in 12 settlements across Nepal, the report added. This excludes thousands of other Tibetans living in the country without any sort of documentation.